Studying a nursing degree is the first step towards a career dedicated to caring for people in order to help them gain or recover their health and quality of life. If you’re a kind, caring and social person, then perhaps becoming a nurse is the perfect option! Nursing was first nationally recognized as a profession in New Zealand in 1901. Since then, nurses have been responsible for maintaining quality health care for everyone, while also upholding their code of ethics, standards and competencies. Nursing requires the use of a combination of concentrations ,including nursing theory, social science, physical science and technology. To work with nursing, one must take into account the psychological, intellectual, social, emotional and physical needs of patients. Nurses need excellent communication skills, as they discuss sensitive matters with patients and their relatives on a daily basis. A nurse works with preventive care and giving patients and others health information and advice. Nursing may include administrative work, such as writing referrals, updating journals and keeping in contact with other authorities. Nursing degrees vary by country but in most places they are given at college and university levels. Degrees focus on extensive study of nursing theory as well as developing practical clinical skills. Students are required to have a minimum of a bachelor’s degree in nursing in order to become a registered nurse. This usually takes three years of full time study to complete. To practice nursing, students must earn credentials as either a Licensed Practice nurse or a Registered nurse. Each type of credential determines a different entitlement for practicing, depending on the country. After nursing registration, there are many choices for further studies. A masters degree is required to specialize in a number of nursing fields such as midwifery, x-ray or oncology nursing. Studying nursing abroad is very possible. As with most health professions however, the registration gained in one country does not lead to automatic eligibility to continue working as a nurse in another country. A nursing degree however, is generally relatively transferrable, and registration may simply require an examination in the country to work. In other cases, it may be necessary to complete a nursing qualification with a few extra courses before being eligible for registration. It is worth checking the exact regulations for the country you are interested in working in after graduation. There is a wide range of career prospects open within the field of nursing all over the world. In many areas there is a growing need for new nurses, as technology opens up for new positions at the same time as a large number are retiring from working life. 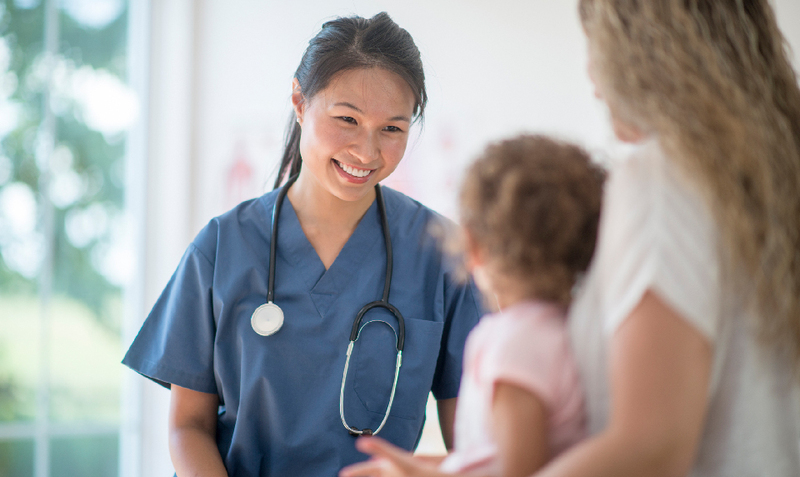 As a registered nurse, there are many options in a number of fields - in a hospital setting, with emergency care, home care or in a private practice. Nurses can also work as researchers in universities, laboratories or research institutes. Many nurses are also engaged in specialty fields such as surgery, oncology, pediatric or psychiatric nursing to name but a few.